April 2017 - Previous Photograph Competitions - Military Airshows. Royal Aircraft Factory BE2b at Old Sarum Airshow with Panasonic GX7. Thanks to everyone that took part in the Photo-Competition. Hawker Nimrod II at the Sywell Airshow 2008. Taken on a Nikon D50 with Sigma 135-400mm lens. Keith Griffiths Gloster Gladiator taken at the 2015 La Ferte-Alais show, with Canon 700D, and 70-300 IS USM lens. Peter Busby Boeing Stearman taken at Duxford with a Nikon D600. DH84 Dragon taken at the Moth rally at Woburn in 2013. Nikon D300 70-200 f2.8 Nikkor. Terry Crocker Pitts S2S G-EWIZ at Old Warden in August 2015. Nikon D3200, Tamron 300mm lens, ISO200, 1/640sec, f/9. Peter Berrill 'Hawker Family Outing'. 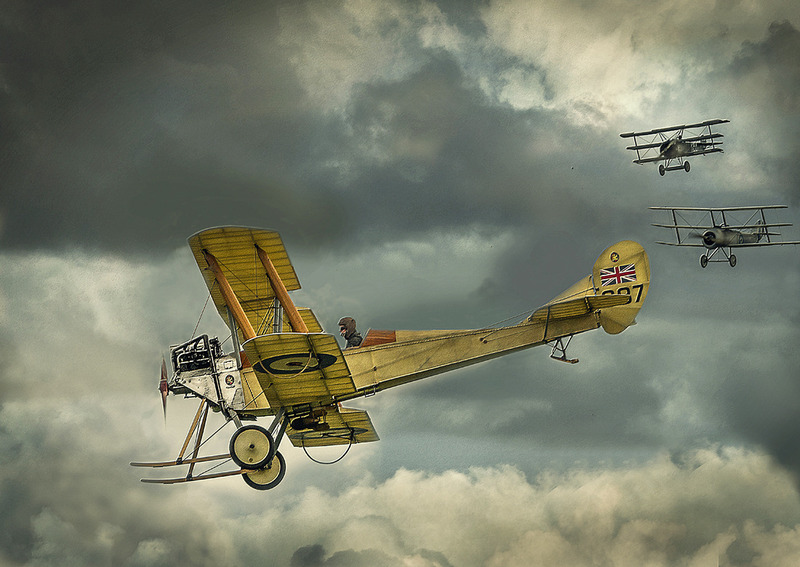 The Shuttleworth Collection's Hawker Demon accompanied by their - and TFC's - Nimrod duo at Flying Legends 2013. Bristol Boxkite, photographed at Shuttleworth Collection Uncovered Airshow, 22nd September 2012 using a Nikon D80 with Sigma 150-500 lens. Andrew Ratcliffe Swordfish W5856 at Southport Airshow 2016. Nikon d5200, Sigma 70-300mm. Andrew Molyneaux One of the two Breitlings at the Torbay Airshow of 2016. The Camera was a Sony Alpha 300 with a Sigma 300mm Telephoto Lens. A Sopwith Pup and DH Tiger Moth taken at the Australian International airshow 2017. Avalon airport, victoria. Canon 5D Mk3/EF100-400 Mk2 lens+1.4 extender 1/320,f11,100iso.